These changes are usually subtle at first and worsen as the cataract develops. Cataracts can occur at any age and is one of the leading causes of blindness in the United States. Cataracts can be treated, with replacement with an intraocular lens that restores the crystal clear vision before the cataract developed. If not treated, cataracts can lead to blindness. In addition, the longer cataracts are left untreated, the more difficult it can be to successfully remove the cataract and restore vision. Alpine Eye Care and the American Academy of Ophthalmology reminds the public that early detection and treatment of cataracts is critical to preserving sight. To reduce the risk of cataract progression, be sure to protect your eyes from sunlight and its ultraviolet rays with sunglasses when outdoors. Additionally, striving for a healthy lifestyle reduces the risk of many diseases that can contribute to cataract development. If you smoke, setting goals for decrease smoking quantity and quitting has shown to decrease cataract progression. At Alpine Eye Care, our goal is to provide the safest and most effective treatment options for your cataracts. Call 1.877.733.2020 or schedule an appointment, today. 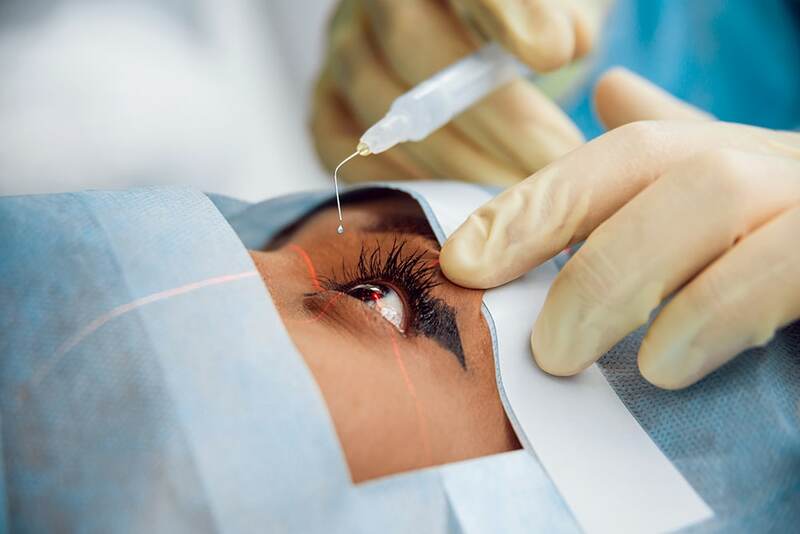 Visit www.alpineeyecare.com to learn more about our practice, read patient testimonials, and learn more about cataract surgery!